Success at Ban Pao Wattatakarn School! 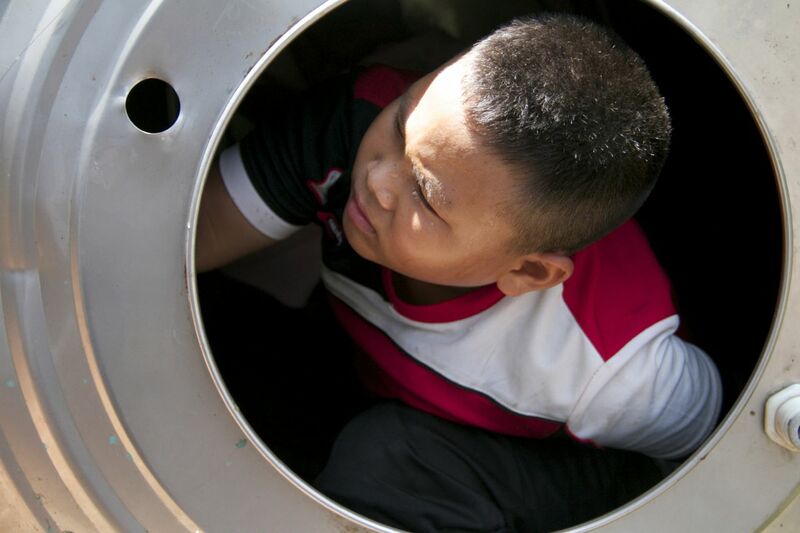 As of 29 May 2015, the children, teachers and staff at Ban Poa Wittatakarn School now have clean drinking water provided through an excellent water filtration system. The Rotary Club of Chiang Mai Thin Thai Ngam which introduced the school and provided much needed introductions at the site. 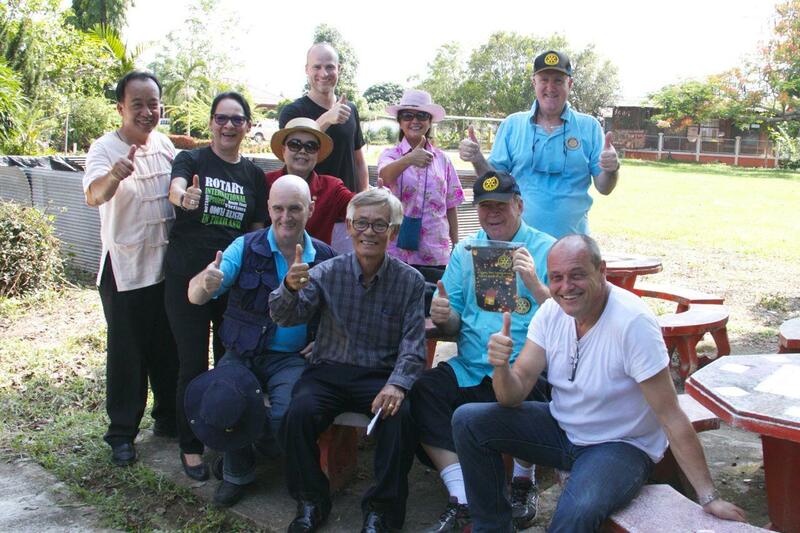 Chiang Mai International Rotary Club which coordinated the project and provided the water filtration system through Actiwa Swiss. 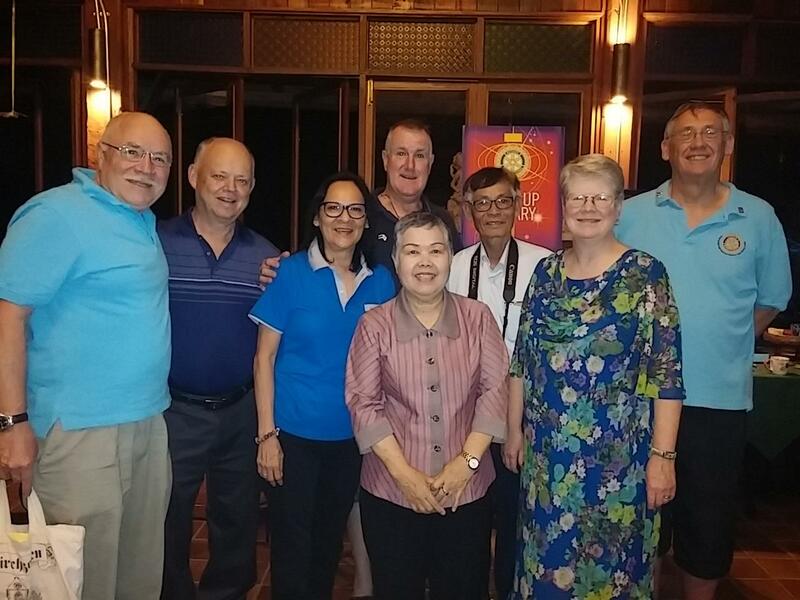 Rotarian Gary Soles from the Rotary Club of Kamloops visits Thailand almost every year and has become aware of the good work done by Rotarian Hope Watcharaprecha and her club, The Rotary Club of Chiang Mai Thin Thai Ngam. He mentioned that his club was looking for a project to support. She recommended the Ban Pao Witiyakhan School. In conjunction with the Chiang Mai International Rotary club due diligence was conducted and it was decided to proceed. 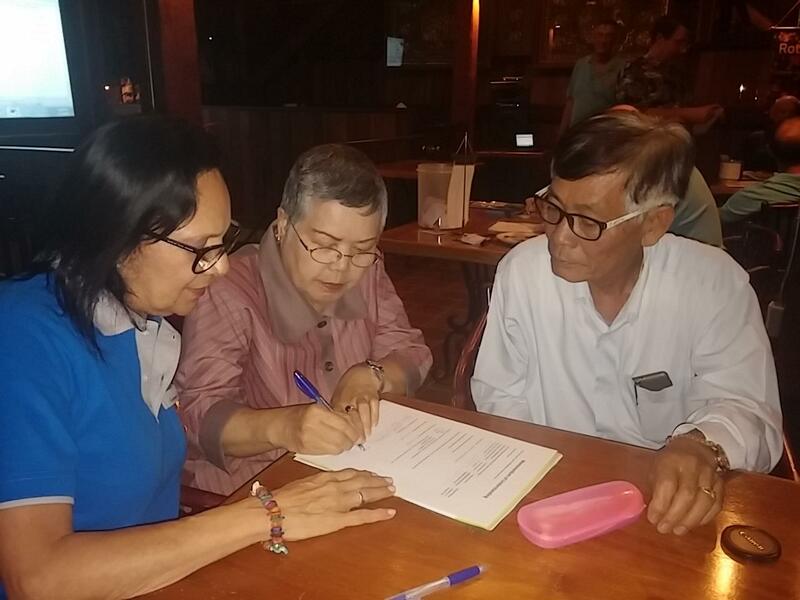 Agreement was quickly reached between the Ajarn , the Principal of the Ban Pao Wittatakarn School, and the three Rotary Clubs; Rotary Club of Kamloops West, British Columbia, Canada, Rotary Club of Chiang Mai Thin Thai Ngam and Chiang Mai International Rotary Club. The project became official at the regular meeting of Chiang Mai International on March 17, 2015 when Gary Soles from Rotary Club of Kamloops presented 28,000 baht to CMIRC for disbursement. The Agreement is Signed! . 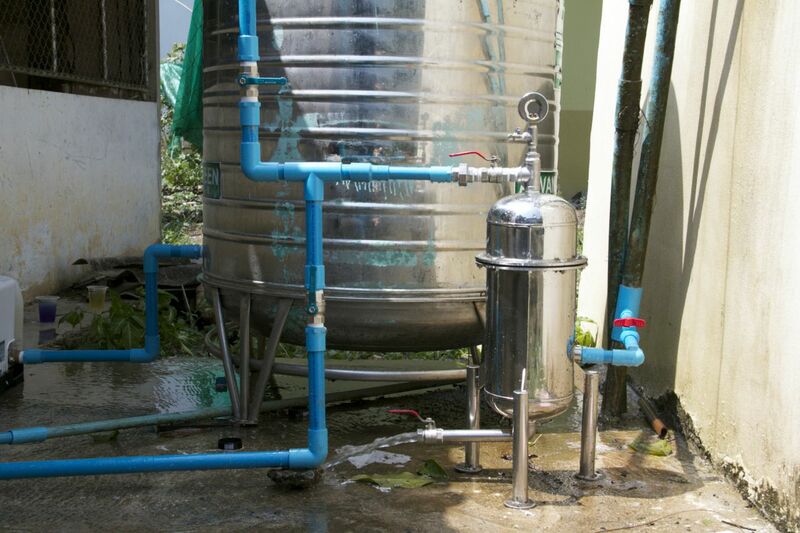 Chiang Mai International Rotary Club would contribute the water filter system. Rotarian Colin Jarvis made the contacts and was able to secure the Actiwa Swiss water filter system with manual backwash with the help of a donation from the GOL Iluminado Foundation of Brazil. At the CMIRC meeting the agreement between the Rotary Clubs and the school was signed. On the 18th of March the first disbursement was made; the project is underway! On first arrival Jorkg from ActiwaSwiss immediately realized that the existing structure was unsuitable. My first thought was about the fact that he and Lutz had driven 7 hours from Bangkok to Chiangmai then another hour to the school- only to find that he couldn't install the filter with what was in place! Solution-based thinking quickly developed between he and Colin Jarvis particularly. "We need a tank and we need a pump and it will still happen". 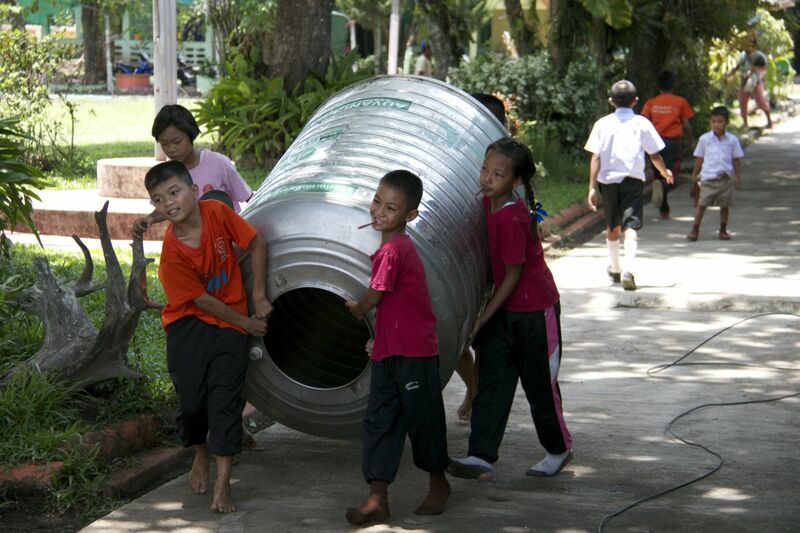 (A perfectly fine stainless tank which had earlier been donated by the Rotary Club of Thin Thai Ngam, was there waiting to be used). A quick call to Treasurer John Schorr established that the financial contribution from RC of Kamloops West still had sufficient reserve to provide what was needed- so we were back on track. A 20-minute trip to a nearby plumbing store provided what we needed and installation began early in the afternoon. Took a bit longer than expected but between ceremonies with the local Civic and Education communities, photo-taking and very importantly the video interviews taken by Colin, the structural process was mostly completed by the end of day one. The big test was on day two when the hydraulics and electrical were completed. Everything worked perfectly! Pipes were then flushed and sanitized, high fives all round and hearts full from a job well done! Jorkg was well happy that he could complete the first of many such Rotary-related projects and all parties took a breath to recognize the good that has been done. Colin is working on the video and hopes to have it ready in a week or so. This project is very important to CMIRC because it's our first official collaboration with other clubs. We recognize that one of the most powerful aspects of Rotary is our ability to come together for a common good. Even more importantly, because of the success of this joint project, we should be able to do much more in the future! More photos are available at www.cmirotary.org Enjoy as you contemplate the good done here. The children now have water that is safe to drink! !